…I’m trained to train others on how to keep a safe environment for children. This includes training adults and teens, and last Saturday morning I helped out with a teen class. As mundane as it can be to learn it (or even teach it), the importance of such a thing is relevant in today’s crazy world. …and I’m a band booster though I have no familial ties to my high school band anymore since my bro graduated last year. But I decided to help out one more year. And JD back in August 2012 thought it would be cool to help out with band banquet again and signed up to help out. But JD in May 2013 had some hesitations on whether to help out or not because of time. But… I can decorate tables and put together props like a boss. 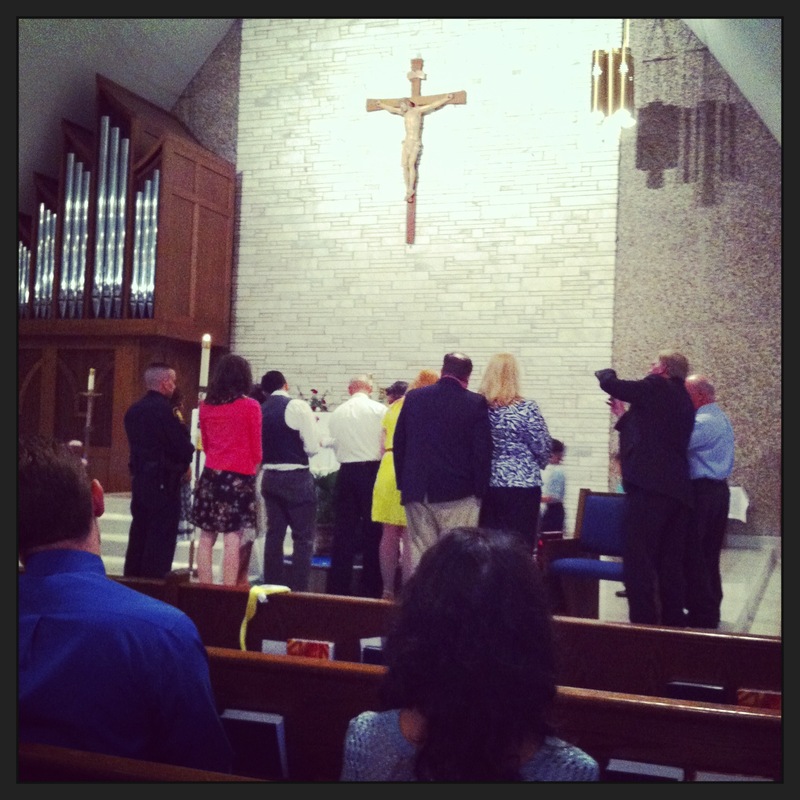 …But I was also invited to a baptism. And with some modifications to my bandquet volunteer shifts, I was able to attend the baptism. It was for the baby daughter of one of my friends that I met through volunteering at my parish. 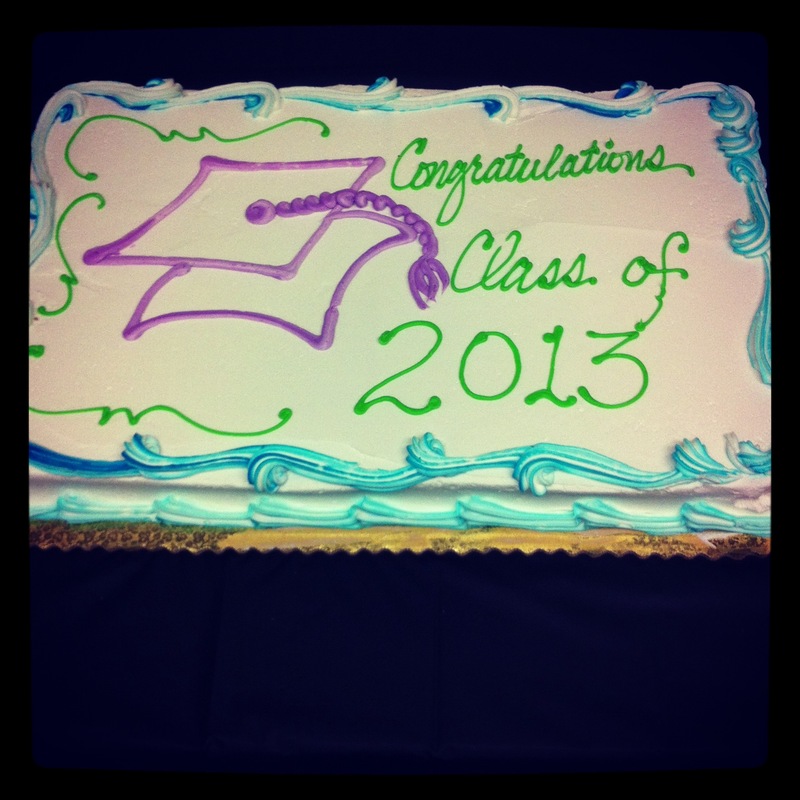 …and lastly, on Sunday I helped host our annual senior lunch honoring my parish’s graduating seniors. And all this in addition to my normal Sunday volunteering. I’m intrigued by the concept of a band banquet that involves swimming. For several years now, my high school band has held their banquet at Great Wolf Lodge, which that alone completely blows all my bandquets in high school into the water. So, it’s your standard formal banquet with food, presentations, a video, awards, and reviewing the past year. Then dancing. Then…time to enjoy a completely rented out indoor water park just for the banqueters. And that’s why no one tries as hard to get all did for bandquet because of the anticipation of going swimming. I didn’t chaperone the indoor water park because my decorating duties were two-fold: putting the decor up…and then down. And if you recall from –1–, I also attended a baptism. So I was there at the beginning and towards the end. 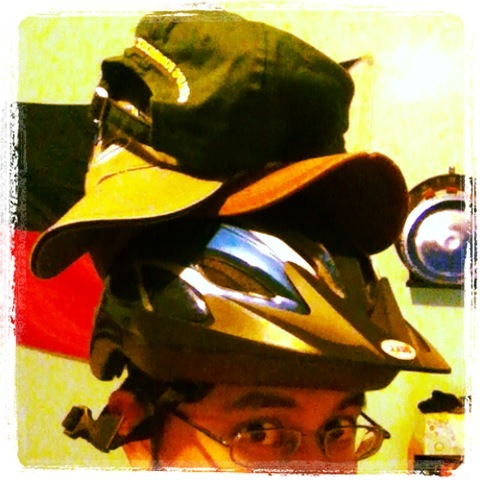 Going with the theme of volunteerism and wearing many hats…sometimes I wear the same hat to multiple places. The overlap between my parental band friends and parental church friends is enough to have lengthy conversations about faith and life at (le gasp!) a band function outside of the church walls. It was good #realtalk though. It helps me understand why parents care so much about their kids, and I could only hope that I’ll reach that point someday. You know your baptism is intense when your godfather shows up in his officer uniform. This was a private baptism so it wasn’t done in the context of Mass. But, the priest still read from the Gospel and gave a brief homily. Fun fact: the priest was Fr. 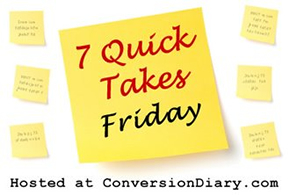 Alfonse, who is one of my fav bloggers for his daily meditations on the Church’s Gospel reading of the day. He’s quirky and dynamic enough to be engagingly awesome every time he speaks. At work this past week, I realized how troublesome it is to coordinate multiple departments together when trying to accomplish a task. Thank goodness for patience and my customer service skills. I ended up doing a lot of work myself…and that’s why I leveled up in my rivet gun skills. Also, no composite material splinters! What rejoicing I had! 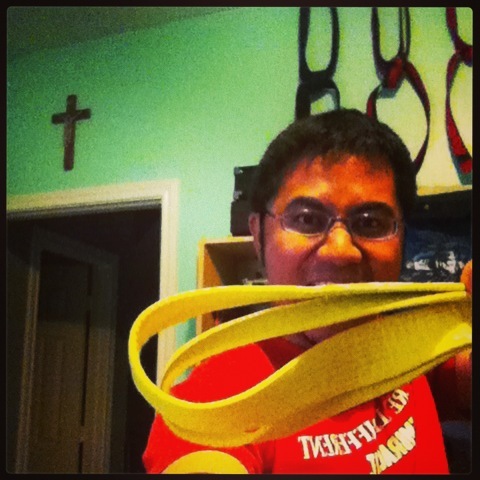 I’ve been training for my yellow belt this week. No, not my yellow belt for origami. Or Tae Kwon Do. Or arnis. Or akido. But rather for a certification at work. My company is trying to get everyone trained in a form of Six Sigma. Basically, I’m learning how to be more efficient and productive in processes and Six Sigma uses a belt system. Maybe one day I’ll be a black belt. Oh hey! An actual yellow belt. How convenient! Don’t mind my uhh…other belts. It’ll be great having my bro around at home again. I love it when he practices his instruments because it’s almost like a jazz concert. Every time. Just not at 11PM at night because it’s difficult to go to bed with saxy jazz going on downstairs.